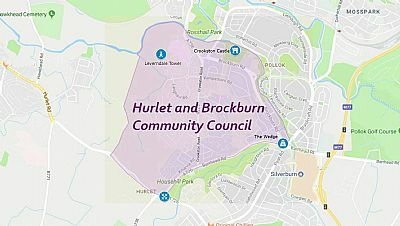 Hurlet and Brockburn Community Council was established in May 2017 to represent the interests of Hurlet and Brockburn residents to Glasgow City Council and other official bodies. All members are volunteers and reside within the Hurlet and Brockburn area. The Community Council consists of 12 members together with various ex-officio members including our local Councillors. Unlike Councillors, and MSPs, Community Councillors are elected or co-opted for their four-year term as individuals. By law the community council is apolitical and must work without bias towards any political party. Any resident of Hurlet and Brockburn (over the age of 16) can become a Community Councillor, we would welcome new members and currently have 6 vacancies. If you would like to be involved please contact the Secretary at hurletandbrockburn@gmail.com.